27 February 2018 – The Court of Justice of the European Union concludes that the EU-Morocco Fisheries Partnership Agreement with Morocco cannot be applied to Western Sahara, as that territory does not fall under Moroccan “sovereignty or “jurisdiction”, and is not part of “Moroccan fishing zones” – a notion used throughout the Agreement and its implementing Protocols. 16 April 2018 – The Council authorizes the Commission to open negotiations with Morocco for a modification of the territorial scope of the Fisheries Partnership Agreement (so as to include Western Sahara) and for the conclusion of a new Fisheries Protocol. 15 June 2018 – Polisario initiates a case to annul the Council Decision to commence talks with Morocco. 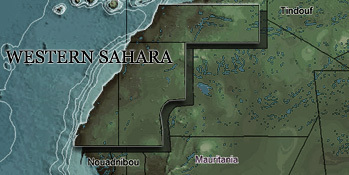 8 February 2019 - The Court declares Polisario's request to annul aforementioned Council Decision inadmissible, as Polisario is not directly affected by it. The Decision only aims at designating who will lead the negotiations, and thus only resorts legal effects among the EU institutions, the Court argued. The Court does reaffirm that the "Saharawi people are to be regarded as enjoying the right to self-determination and as being a 'third party'" to EU-Morocco relations.